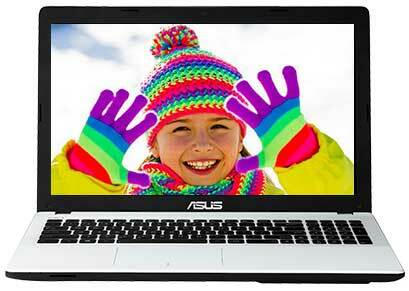 Asus Laptop X551CA 15.6" Best Rated Core i3 Laptop Intel 3217U 4 GB 1TB HDD Win8. 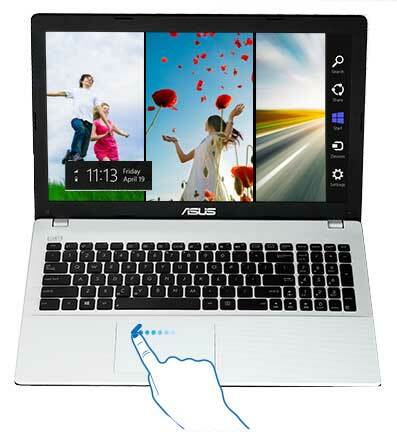 Asus X551CA is an ideal all-rounder laptop for work and entertainment. With its stylish and smart design you get performance and portability. This slim laptop packs Intel processor which gives you high performance. Sits features like Sonic master technology, Instant Resume and smartphone like accessibility gives you an outstanding user experience. Its built in 720p HD web cam take your web chats to the next level. It is highly sensitive and acts according to the lighting conditions. So now look good in all sort of light whether it is dim or bright. Its 15.6 display delivers bright and vibrant visuals using ASUS Splendid Technology. Watch your multi-media in amazing quality now with life like colours. It also allows you to adjust its properties and colour gamut according to the applications so you can have convenience and comfort. Whether you use this laptop for work or entertainment, it proves as a great companion. By its powerful Intel Core processor it delivers smooth performance in multitasking. Now do more with powerful graphics and advanced onboard memory controller. 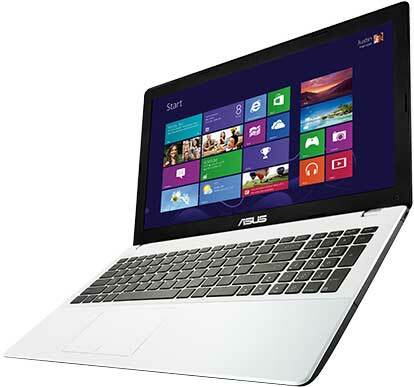 Asus X551CA lets you work on more than one application at a time without making any change in its fast speed. Using its ASUS Super Hybrid Engine II technology it gives you smart phone like accessibility and performance. Say goodbye to long waiting times as it can resume just in two seconds even after prolonged standby. It also gives you the liberty to choose from multiple battery modes, so now choose a mode which best suits your task. It can remain in standby mode for as long as two weeks, and not pose any danger to your data while in standby mode because it automatically backs up your data when battery level falls to 5%. It comes equipped with 2 USB 3.0 ports, USB 3.0 gives you ten times faster speed than USB 2.0. Now you can transfer and save your heavy files just in few seconds. It can transfer 25GB Blu-ray-quality movie in just 70 seconds. Working in high temperature with hot palm rests can be very disturbing. To take you away from this problem Asus has designed this laptop in such a way that its palm rests stay cool and give users a soothing sensation. Now work for prolonged periods while staying cool. In order to give you more distinctiveness in sound frequencies Asus X551CA comes equipped with Sonic Master technology. It enables you to hear distinctive nuance of every single instrument. 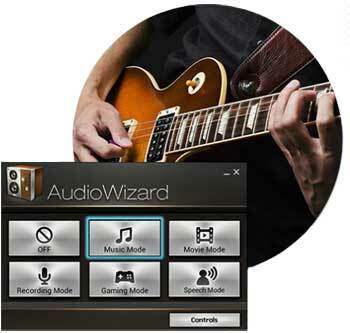 Asus Audio Wizard further makes you audio experience much better by giving more definition to your audio. Sonic Master combined with ASUS Golden Ear and Bang & Olufsen ICEpower gives you an amazing multimedia package. Its big speakers and resonance chambers makes your multi-media experience better by delivering rich sound with more definition. Now you can listen audio in high volume without any distortion. The former award winner of Grammy Award, Max xAudio, a professional audio processing tool combined with AudioWizard boosts the quality of your audio in order to give you a unique audio experience. It comes with the option of five modes, you can select the mode according to your environment. It is highly flexible with a very user friendly interface which allows you instant access of your content. To give you highly responsive experience in every application and every task Asus X551CA features a large touch pad which supports multi gesture technology. Its intuitive touch gives you a fingertip natural computing. No need to use mouse for zooming, scrolling and rotating as you can perform these function more easily using its touchpad. It is large enough to use gestures associated with Windows 8. Asus X551CA comes with a seamless keyboard which features a chick let design. This ergonomically spaced design increase your typing speed while reducing the number of typos. Every single key in this keyboard is tuned to ASUS's Golden Ratio of keyboard force and stroke to give you a more responsive typing. The keyboard is designed in such a way that it reduces your fatigue so you can work for prolonged time periods. Asus offers you some space to save your data in web storage. The files stored in cloud can be easily accessed from any device and any location. Your data becomes portable and secure as files saved in web storage cannot be accessed by anyone except you and also prevents you form unfortunate data loss.